I believe that jewellery plays an important role for personal style (as I’m sure I’ve made clear in this blog). I’d feel naked if I ever left the house without my carefully selected – and personal favourite – pieces of jewellery I wear every day. Which is why I thought it’s time for another round of a jewellery edit. 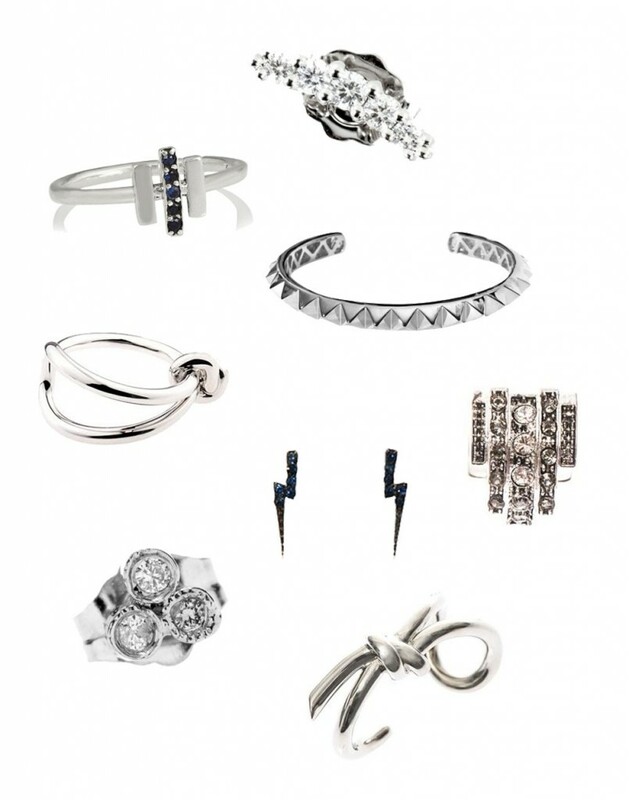 Voilà a selection of outstanding – and quite affordable – adornments. From top to bottom: diamond earring by Stone Paris (I love this brand, one of its pieces is very high on my wishlist), Axis ring by Pamela love, stud bracelet by Eddie Borgo, bow ring by Balenciaga, ear cuff by Ca&Lou, lightning bolt earrings by Aamaya by Priyanka, diamond ear stud by Jacquie Aiche, and bow bracelet by Balenciaga.